Home Spec Solutions, Inc. provides pre-listing inspections. 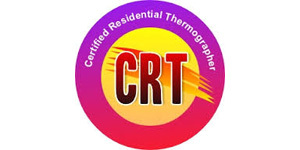 It is an excellent tool for a homeowner who may not be in tune with the true condition and inner working of their home. A great many real estate sales are canceled due to the buyer’s shock at the “functional condition” of the home. It may look like a great property and structure, but have serious technical, safety, or functional issues present without the owner’s knowledge. Completing a pre-listing home inspection prior to placing your home on the market is an ideal way to identify and either repair or disclose any issues found in the pre-listing Inspection Report and guidelines set forth by the State of Florida. Obviously, repairing the items would be the most beneficial towards completing the sale. However, there may be financial reasons where the homeowner can’t make the repairs. Revealing issues prior to listing the home, based upon the pre-listing inspection gives you the opportunity to provide full disclosure and will often times produce a higher net sales price for the owner. Another great service provided by Home Spec Solutions, Inc is a pre-purchase inspection. A home inspection is a visual process where items typically used within a home are tested and/or operated to verify proper functional working order and proper installation. Air-conditioning and Heating systems are check for temperature, leaks and operation. The Inspector will fill the sinks and tub(s), run the shower(s), and flush the toilets. Provide reports on the condition of each of the components tested. Upon completion a report will be distributed to you. Home Spec Solutions provides pre-listing and pre-purchasing inspections for residential both buyers and sellers. Contact Home Spec Solutions for inspections of properties. Home Spec Solutions, Inc. offers investor property inspections including multi-unit housing up to four units. Investment Property Inspections are performed prior to purchase as well as periodically during ownership. Investor property inspections are performed to identify defects prior to taking ownership to negotiate repairs or price adjustments which reflect the condition of the investor property. Periodic inspections for properties currently in your portfolio would ensure the identification of needed repairs following the stay a long term tenant’s departure. Long-term tenants sometimes neglect to mention repairs and/or abuse the property during their tenancy. Identifying those problems early is the key to profitable ownership.